Iconic abolitionist and Underground Railroad conductor Harriet Tubman will be honored with a national historical park in Upstate New York. U.S. Interior Secretary Sally Jewell signed the park into the National Park Service (NPS) system in Washington, D.C on Tuesday. Jewell was joined by U.S. Senators Charles Schumer, Kristen Gillibrand and U.S. Congressman John Katko in establishing the NPS's 414th unit. The Harriet Tubman National Historical Park will comprise multiple sites in Auburn, New York, where Tubman spent the later years of her life fighting for women's suffrage and other causes and eventually died in 1913. Tubman is buried at Fort Hill Cemetery in Auburn, which is located in between Rochester and Syracuse. In addition to Tubman's home, the park will include the nearby Thompson Memorial AME Zion Church—where she and others within the local African-American community worshiped—as well as the Harriet Tubman Home for the Aged that she opened in 1908. 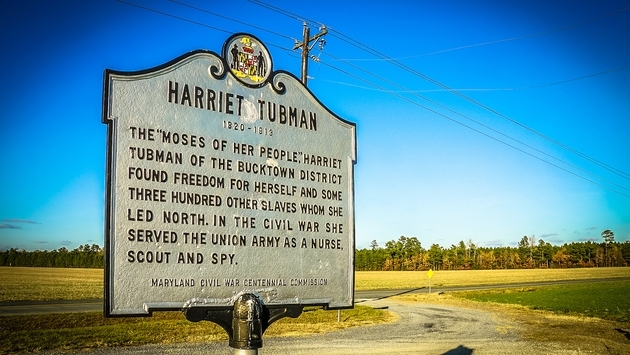 The new park will be the sister park to the existing Harriet Tubman Underground Railroad National Historical Park on Maryland's eastern shore, where Tubman was born into slavery around 1820. The Underground Railroad park's visitor center is scheduled to open March 11. "These two parks preserve and showcase a more complete history of one of America's pivotal humanitarians who, at great personal risk, did so much to secure the freedom of hundreds of formerly enslaved people," Jewell said in a statement. In his own statement, Schumer said, "the Tubman Historical Park in Auburn, New York will be a magnet for visitors that will tell the amazing story of Harriet Tubman’s life, an extraordinary American whose story deserves to be shared with our children and grandchildren." The NPS is planning to host an event to mark the park's establishment in Auburn this coming spring.